My horse is literally laying down on the job, how should I deter this? Some young horses do have a desire to roll with the saddle especially if they get a little sweaty. The ‘fix’ is to ask them to do something that won’t allow them to roll such as trot. Keeping him moving and redirecting his focus should clear this up. 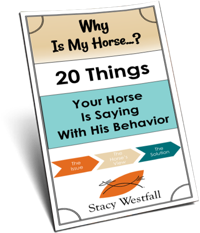 The other thing that is nice about this approach is that you can think about asking him to trot and rewarding him for trotting which is a positive approach. If you focus on punishment to stop him then the approach feels more negative even if you are essentially doing the same correction. My husband’s mare, Lucy, was relaxed and comfortable around him. 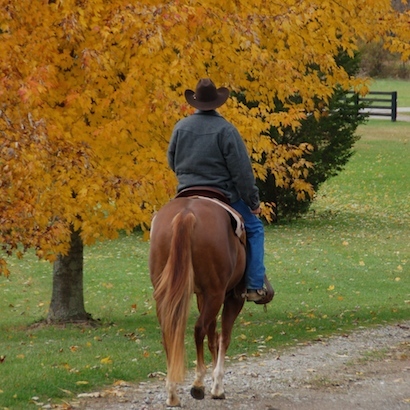 She wasn’t scared of the pad or the saddle at all…but when she would begin to sweat she wanted to roll. She was even a bit upset when she wasn’t allowed to roll which was clear because she would swirl her head in protest when he would keep her moving. Jesse simply stayed persistent during the early ground work and first rides and eventually Lucy gave up trying to roll. Horses are funny and I enjoy their unique responses. Although you do need to deter this for now, just think how easy it will be to teach him to lie down in the future! 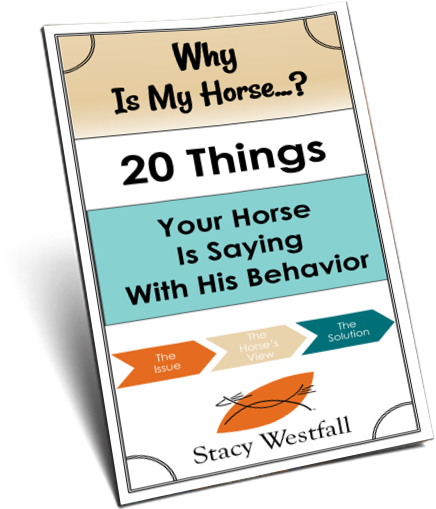 ← How do I stop my horse from scratching or biting me when I am grooming him? ny other time the thought wouldn’t even enter his head. i have a young mare that used to that i just kept her feet moving and redirected her attention and after three or four time she stopped . I remember my grandpa training a horse that did this. Even after urging her forward she would fight it and try to roll. He ended up having to let her roll but not let her get back up, which worked after the 2nd try, she did not want to be kept on the ground.